What is a Telemetric Chamber? So, what are telemetric chambers? "Telemetric chambers create fully controllable environments with two-way communication that capture real time analytics through live imaging." Unlike incubators, telemetric chambers are IoT devices that provide live data and imaging, expand research capabilities, and increase efficiency. CO2 Incubators are designed to create and maintain a defined environment. They do a great job of mimicking physiological conditions so that cells can grow in their ideal conditions. Unfortunately, cell cultures need to be removed from their ideal environment every time a measurement is to be made or an image is to be taken (usually under an external microscope).This means that most experimentalist never actually measure cells under physiological conditions—they are usually under some state of shock. Telemetric chambers allow cell measurements and cell imaging to be done without moving them out of the controlled environment. This allows for time-lapse imaging of live cells under physiological conditions. And that means happier cells that do not needlessly get handled as well as happy experimentalists that can automate menial time-consuming lab work. They serve the purpose traditionally done by incubators but do so in a way that keeps the researcher informed and connected to their experiments at all times. Sensors inside of the chambers measure, record, and transmit live data and imaging to the cloud, accessible on any external device, including your computer, tablet, and phone. This means that researchers can live monitor their experiments remotely, as opposed to incubators, that require them to check on conditions in person. 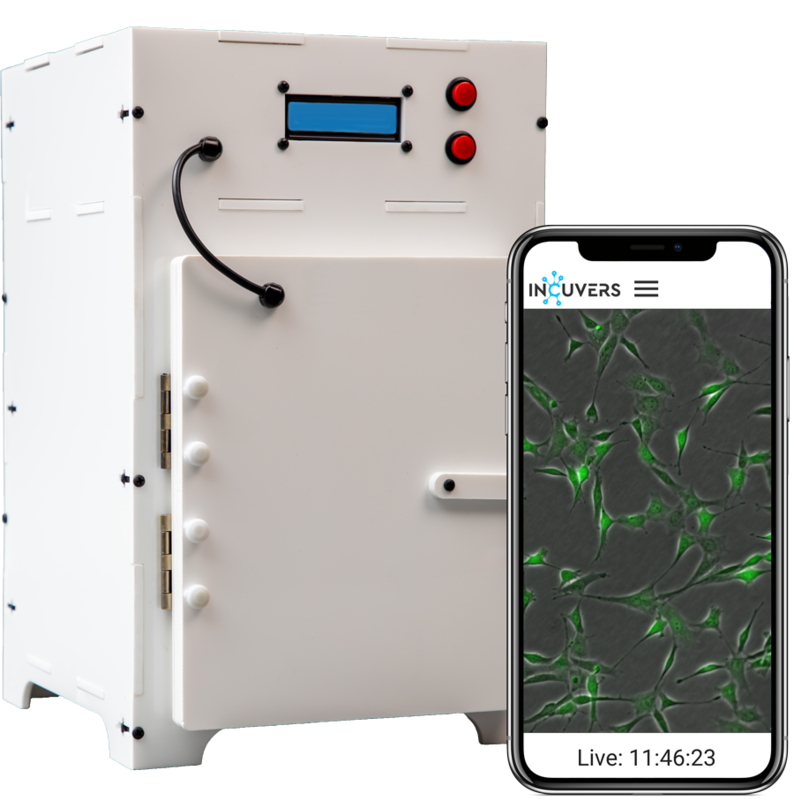 Live cell culture monitoring also means alerts. Telemetric chambers let researchers monitor conditions remotely, and also notify them directly of any problems or complications with their experiments, such as dropping CO2 levels or an over-populated dish. This significantly reduces failed experiments because researchers can quickly remedy problems that could show early signs of failure. The two-way communication of telemetric chambers means that they are also fully controllable from remote devices. Not only can the researcher control levels of CO2, temperature, and O2, they can also program automated protocols, cycling or maintaining each at desired levels over time. This makes experiments involving ischemia, hypoxia, or heat shock easy to perform and easy to capture. Finally, telemetric chambers are automated log books. All sensor data and cell images are periodically saved so that they can be inspected for quality assurance. It can all also be easily exported into reports and time lapse videos. So, whatever the results of the experiment, researchers can go back and review the conditions that lead to the result. Enable you to capture, analyze, and reproduce every moment of your experiments. Let you design automated protocols for environmental conditions, meaning endless possible novel experiments. Make sure you always know exactly what is happening with your experiments. Record and log imaging and data on all experiments so you have a complete history of all your research.